I don't know whether to feel merry or sorry for those collectors who have a taste for Ingmar Bergman. Imagine picking up all of Criterion's Blu-ray releases of Ingmar Bergman's films over the years, looking forward to future releases, meticulously ticking off boxes on your list. And then coming upon this gem of a boxset, which includes 18 titles you didn't have yet... along with the 21 others you already paid hundreds of dollars for. 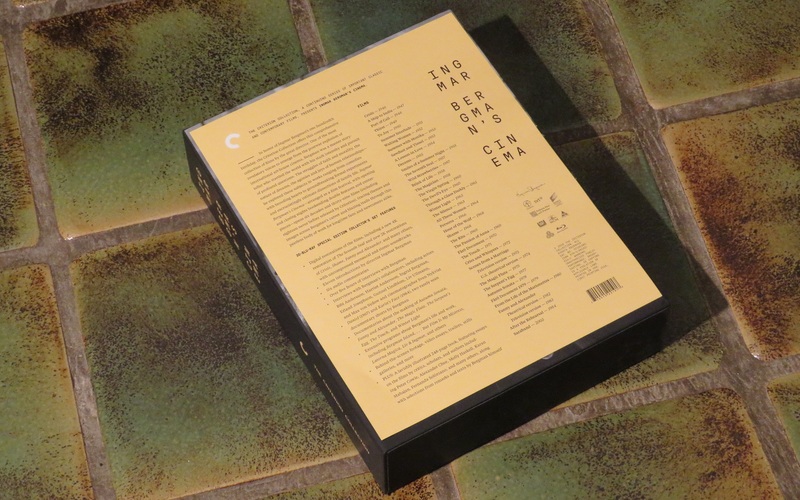 Yes, when Criterion says 'boxset' it means it, whether the company refers to Zatoichi or Guillermo Del Toro. 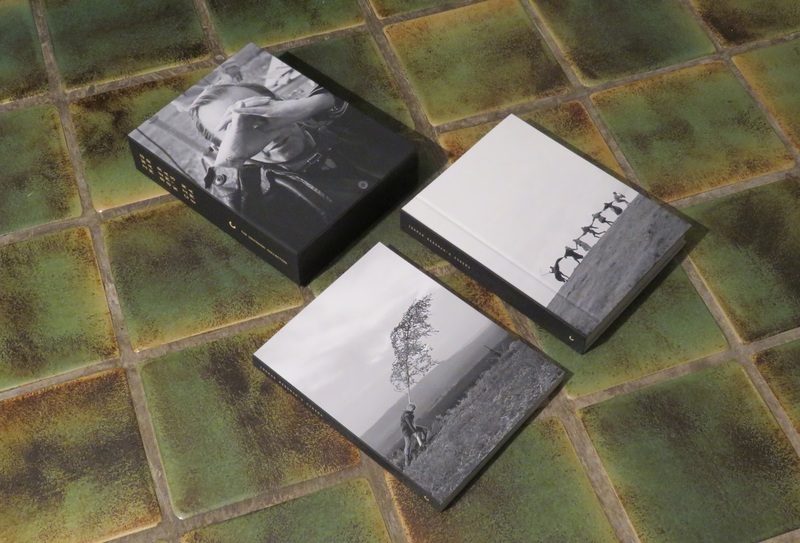 It's not even the first time Criterion produces an Ingmar Bergman boxset, as a couple of earlier releases grouped three or four films together already. 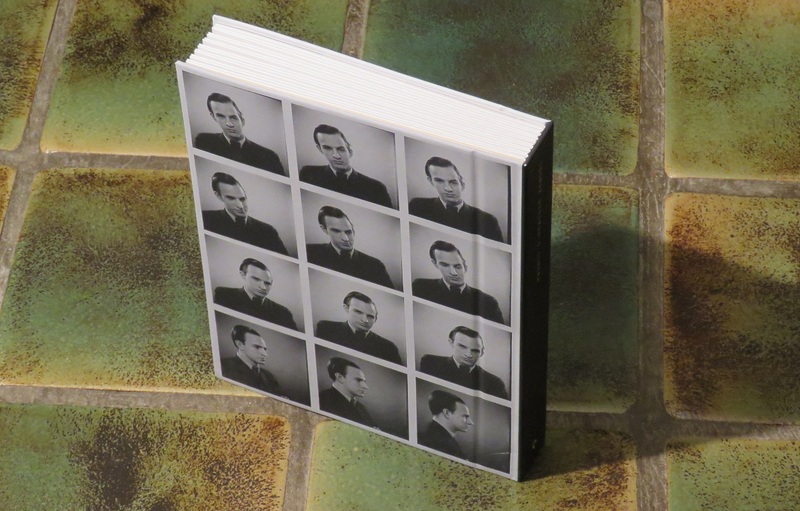 But to celebrate the 100th birthday of the Swedish master-filmmaker, Criterion crafted an all-together irresistible package: 39 films by the man, accompanied by loads and loads of commentaries and extras, and to top it off there's a 248-page book. 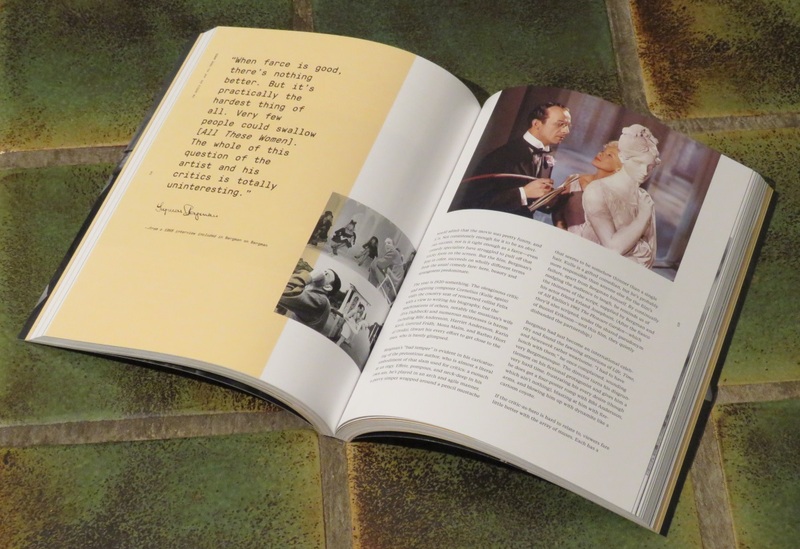 Our Dave Canfield calls it "easily the box set of the year" in his holiday gift guide and I'm not even going to try reviewing the whole thing; I sure like me some Ingmar Bergman but not 39 films in a row. So for that I'd refer you on to our good friends over at DVD-Beaver. But if you want to see what the packaging looks like, look no further, as here is a gallery of pictures for you. Click on the edge of the pictures to scroll through them, or at the center of each to see a bigger version. And here it is, a big, BIG box of sturdy cardboard, covered in that rubbery stuff that feels weird (and steals your fingerprints). 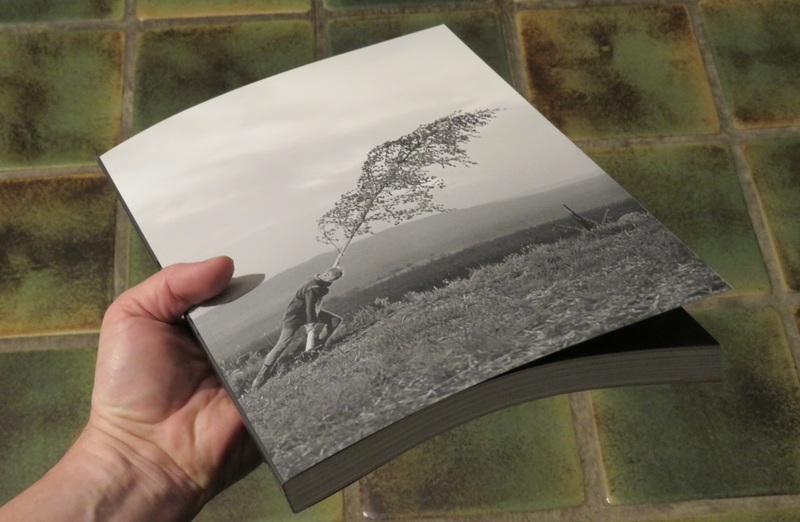 In the big-big-box are a massive disc-holder and the 248-page book. 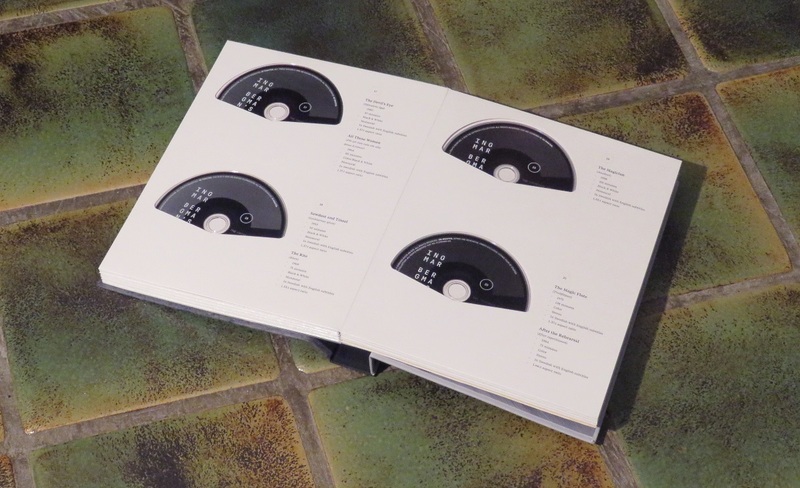 The disc-holder houses 30 discs. 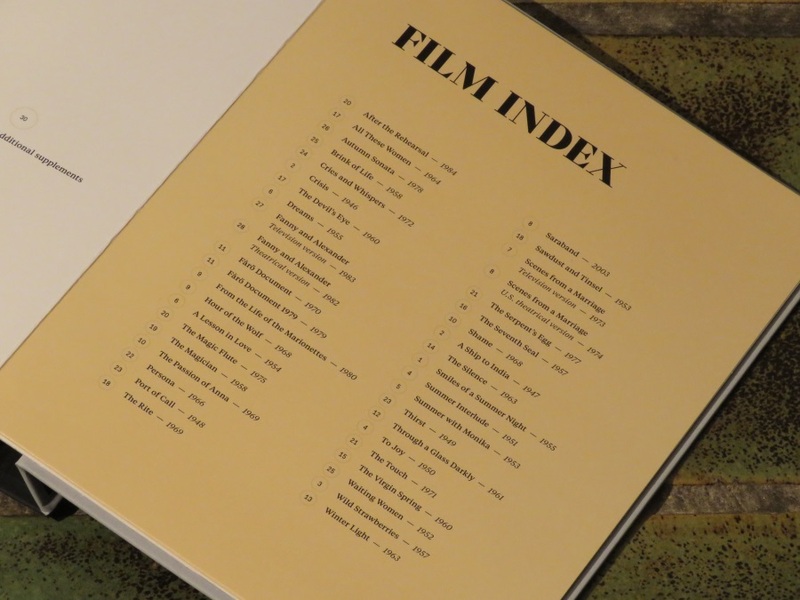 The 39 films are on 28 of those, while the rest are fully dedicated to extras. 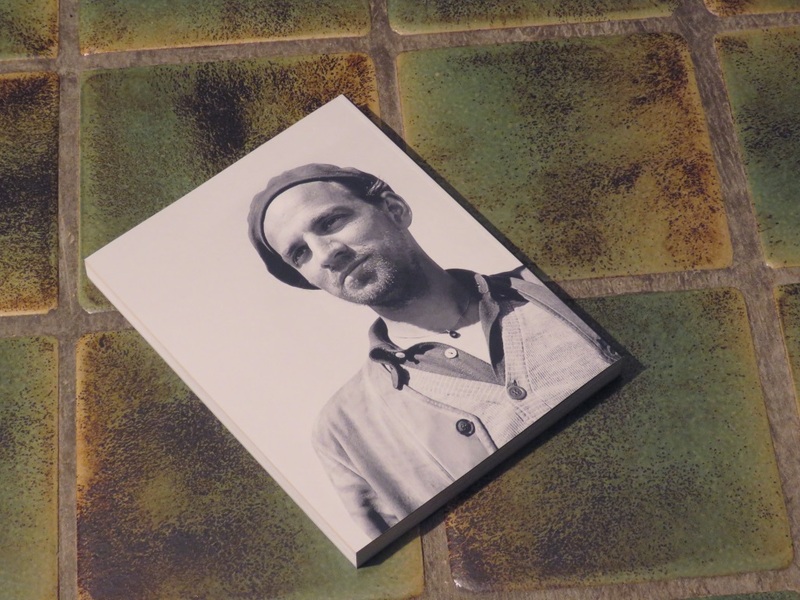 Each page has two discs in it. The films are not chronologically grouped, but as a curator at an Ingmar Bergman film festival might do it. There are "nights" dedicated to comedy, to thrillers, to certain themes... a lot of thought obviously went into this, and it's a fun way to travel through Bergman's career. Note that the chosen grouping of films doesn't make them necessarily easier to find, so there is a helpful alphabetical list in the back which tells you which of the discs you need. The back of the disc-holder. Here is the front of the 248-page book. 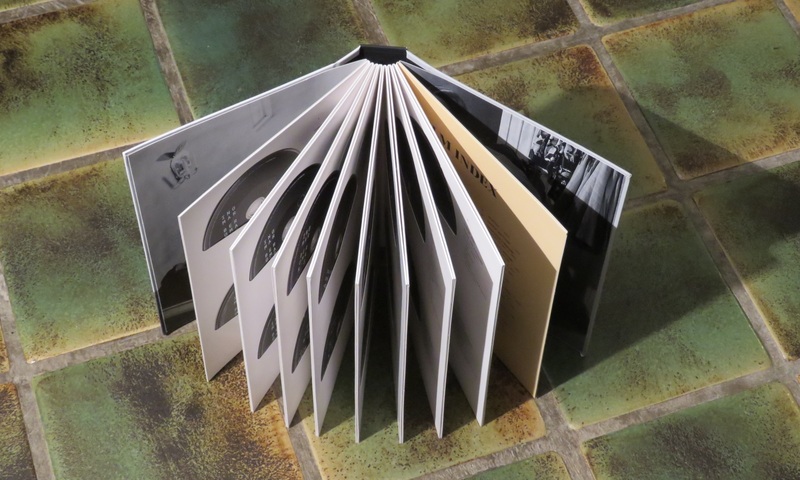 The book follows the aforementioned "Film Festival" mode, mirroring the themes and order of the disc-holder. The (back) end. What an astonishing boxset this is.